January 11, 2019 January 11, 2019 limitlesslifeLeave a Comment on Webinar next week on Militarism Media! Webinar next week on Militarism Media! 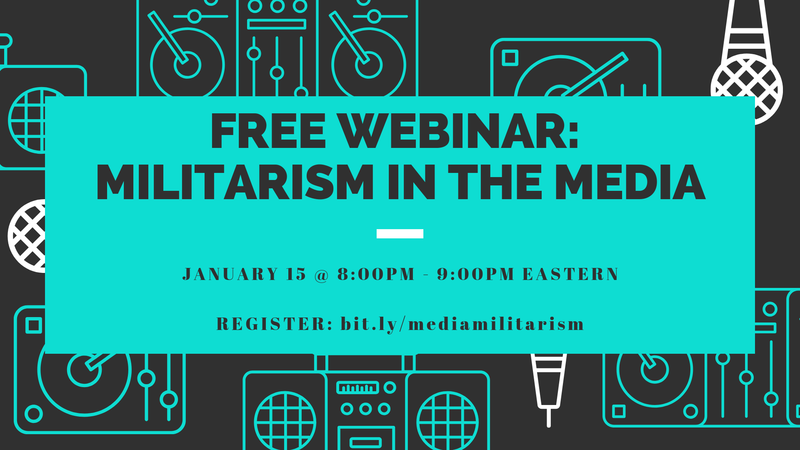 We’re kicking off the new year with our free webinar, titled “Militarism in the Media.” Tune in next week on January 15 at 8:00 p.m. – 9:00 p.m. Eastern (GMT – 5) to a panel discussion with experts Rose Dyson and Jeff Cohen on the role of media in promoting violence and war. Where: Your computer or telephone! 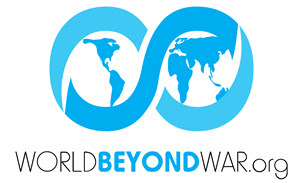 Register for our free webinar featuring experts Rose Dyson and Jeff Cohen discussing the strained relationship between militarism and the media, and how we can be peaceful advocates for a world BEYOND war. The webinar will be hosted on the Zoom platform. Participants can join via telephone or computer. You will receive a confirmation email with the log-on details when you RSVP. Hope you can join us for this important discussion! P.S. Spread the word on Facebook and Twitter – or forward this email to your contacts. Previous No Base at Henoko, Okinawa!